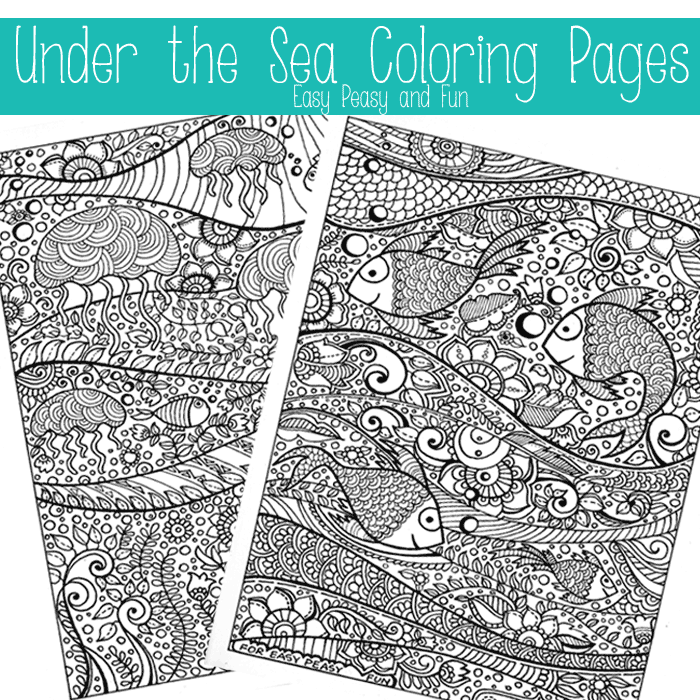 It’s time for another super gorgeous pack of intricate coloring pages – this time we have the under the sea coloring pages for adults! 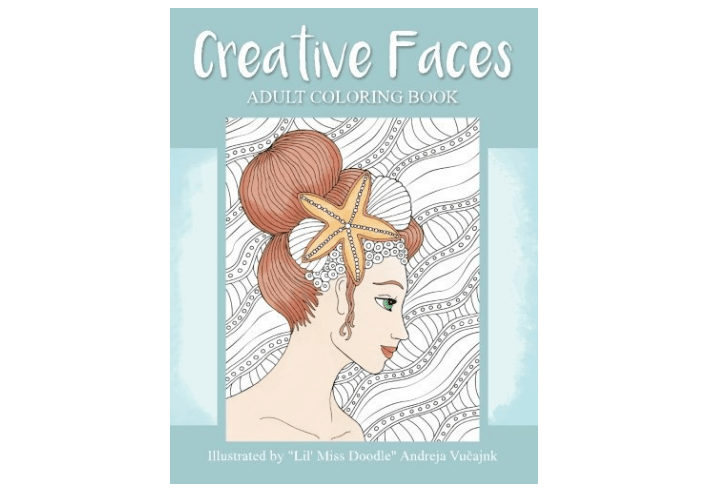 So sharpen your coloring pens, or even better get your markers ready and have fun with coloring pages for adults! 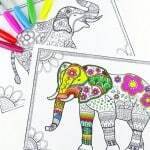 I have completely fallen in love with coloring – it’s my number one hobby at the moment (although I admit I am prone to changing my hobbies quite often). 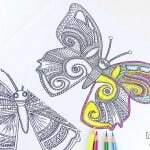 If you haven’t given coloring a go yet I urge you to try it yourself – the detailed and sometimes even a bit abstract illustrations that go hand in hand with these sheets for grown ups are so relaxing to color and the end result is always gorgeous (just adding to the de-stress effect of these). This time we’ll be diving deep and having some fun with sweet fish and adorable sea jellies (not as adorable when meeting them “in person” but still). 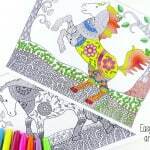 This time these coloring pages are brought to you by a very talented artist that goes by the artistic name Corner-Seat (you’ll be seeing more of her awesome work in the future ;). Quickly print these two pages and let the stress-free fun begin! 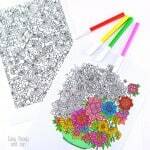 Wan’t more coloring fun? 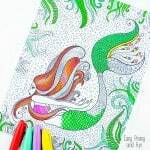 These are the coloring books I love! so happy I found you via RedTedArt. Your art is beautiful! 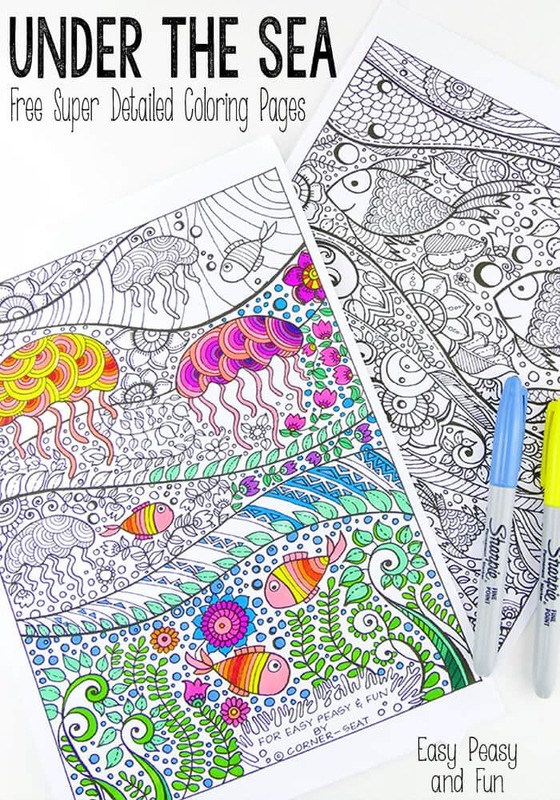 I first saw your cute little paper shark and now just came across your ocean coloring pages! They are adorable!!! My little ones will enjoy their summer holiday even more now for sure! Ready to print them and surprise my little ones with them! Thank you for sharing!!! …just realized these pages have been created by Rahema! I will most certainly be watching her work in the future! So beautiful! Love the designs for the business cards she created for Mint & Vintage! Gorgeous! Hi Manja! Yes these two were created by her – she’s amazing! Yes, absolutely agree! 🙂 Love your work, too though! Have a lovely weekend! Hi! At the moment I don’t have a newsletter subscription so the best way to keep up with new ones is to keep checking back or follow any of my social media accounts. In general I tend to post new coloring pages every two weeks (give or take a day or a few). I’ll have horses (not in this style) on the blog later today and I’ve actually have a giraffe one (in this style) planned to go live next month. I just love these pages. Do you ever do cats or dogs maybe rabbits or hamsters? I love them all so thank you so much. As long as you link to the post and not directly to PDF download it’s perfectly fine 🙂 thank you. Would love to read the post once it’s up! Thank you Andreja! Yes, I will link to your post and will also suggest that readers check out your blog. Terrific blog. I’ll let you know when the post is up. 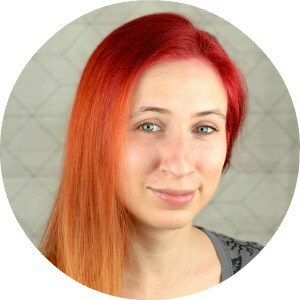 Your work is awesome! Just too beautiful! Only waiting for my printer now…yay! 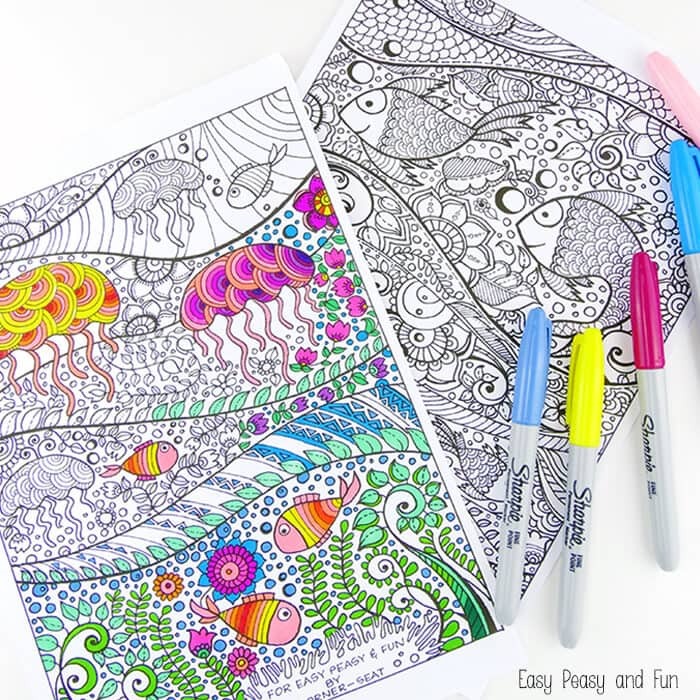 I wanted to let you know that I linked your blog post “Under The Sea Coloring Pages” to my blog post “Color The Pages Of Your Life Wisely” tonight. I also encouraged readers to visit your blog. My blog can be reached at http://www.theheartswayimageryandinsights.com. I’d love to get your feedback! Thank you SO much! These are beautiful!!! Huh? What am I supposed to click on to download the pages?